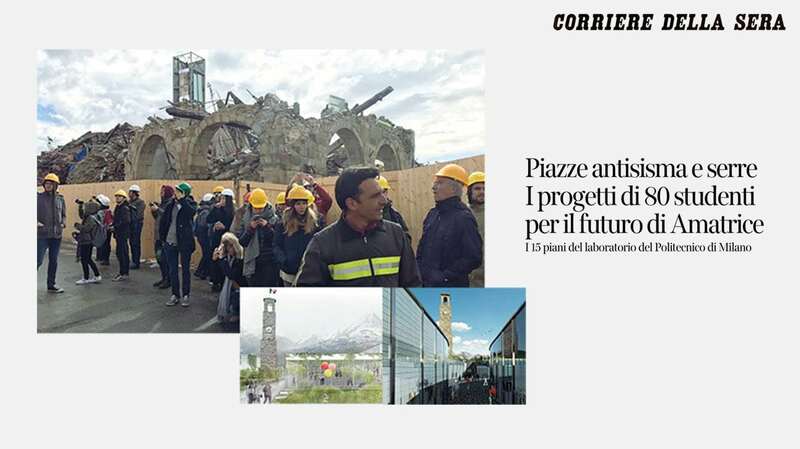 The House of the Future – Study Center Laudato Si’ is the project signed by Stefano Boeri Architetti for the recovery and functional restoration of the Don Minozzi Complex of Amatrice, designed to be a place of rebirth and innovation offering space to an extensive program of activities dedicated mainly to the young and focused on training and research activities. The historic complex designed by Arnaldo Foschini in the 1920s to host war orphans, partially destroyed and made inaccessible by the 2016 earthquake, has been included in the Program Agreement between the Diocese of Rieti, Istituto Don Minozzi, the Extraordinary Government Commissioner for the reconstruction of areas affected by earthquakes, the Ministry of Cultural Heritage and Activities and Tourism, the Ministry of Education, Universities and Research, the Lazio Region and the Municipality of Amatrice, which envisages its reuse and the reactivation of its functions. The initiative is an integral part of the House of the Future – Laudato Si’ project, inspired by the eponymous encyclical of Pope Francis and hinged on the pivotal concept of Integral Ecology which promotes the creation of hospitality, research and training facilities for the promotion of territorial resources linked to the sustainability of agricultural and food production. 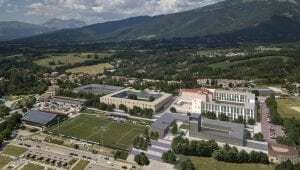 The structure will be a place of hospitality and training, made available to the younger generations, the true protagonists of the reconstruction, who will return to live and work on their land, still seriously compromised by the earthquake. 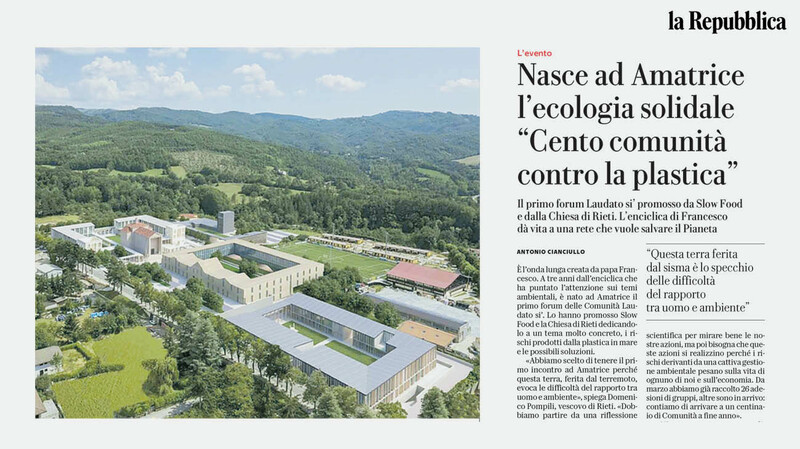 “It is wonderful that in a place struck by such a tragedy as an earthquake, new awareness is generated – comments Stefano Boeri – inspired by the idea of integrated ecology, which unites sustainability, biodiversity and forestation, and can give jobs to many young people”. 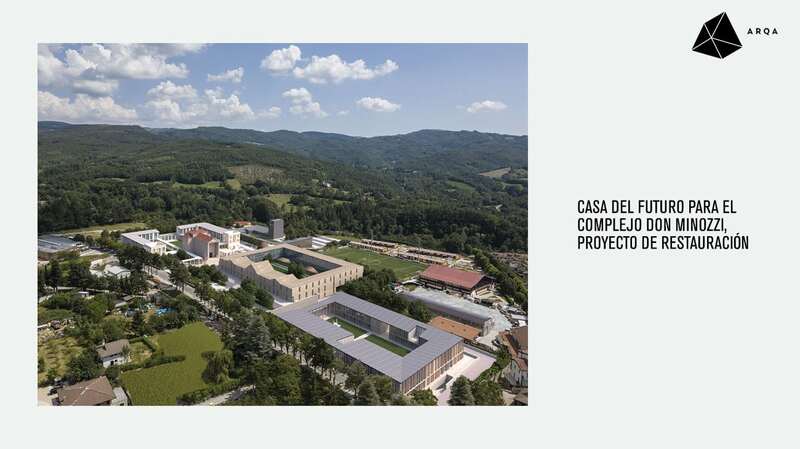 House of the Future is subdivided into four functional macro-areas which respectively house: a central assistance area, in honor of the significant social mission of the National Work for Southern Italy, an administrative area and museum pole, an area dedicated to youth training and an area given over to research and innovation. The project by Stefano Boeri Architetti is a new complex inspired by the previous facility, from which it inherits the central generator axis that is aligned with the Torre Civica (Civic Tower) on Corso Umberto I, and the general layout of buildings generating a system of courtyards and porticoes. Some parts of the Church of Santa Maria Assunta will be recovered from the historic layout. 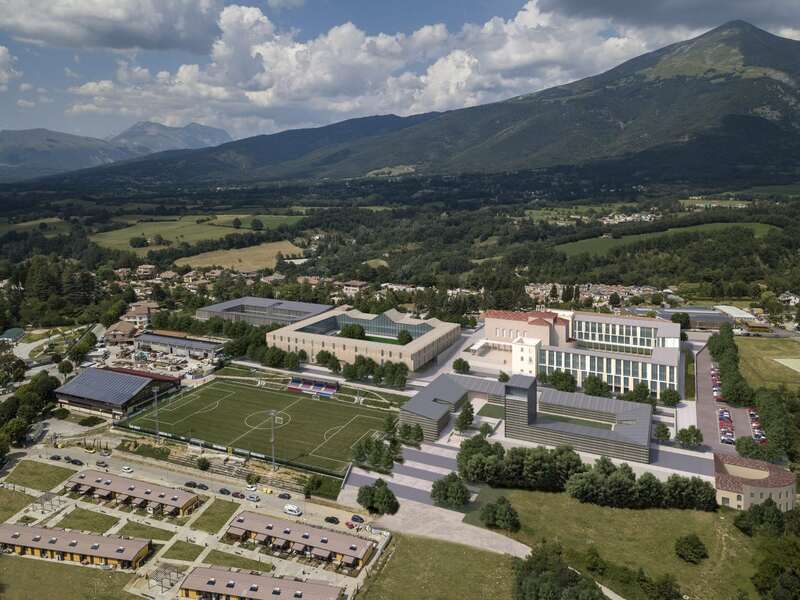 Particular attention will be focused on the engineering design process, which will entail advanced anti-seismic technologies, in view of the high-risk geographical area involved, as well as the performing characteristics of all materials employed. The House of the Future will return to being a place of great generosity and innovation, the driving force of a renewed social life, as it was in the early post-war period, an incubator of research and technology and an on-going laboratory of a new environmental sensitivity, destined to guide the rebirth of this territory. 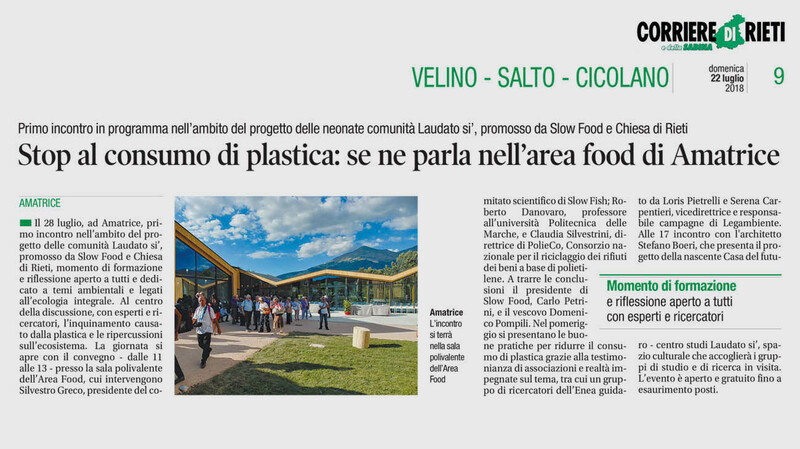 The project was presented on July 28th, 2018, in Amatrice in occasion of the first Laudato Si’ Community Forum.